Let's talk more about Indian summers. Are you making the most of this season, well I am! From relishing Alphonso mangoes to sitting out on the terrace in the evening and sipping my cuppa, from traveling to some exotic places to spending quality time with family and not to mention, decorating my home for summers which is of course my favorite activity, I am enjoying every bit of this season. First let me tell you something more about Engrave. 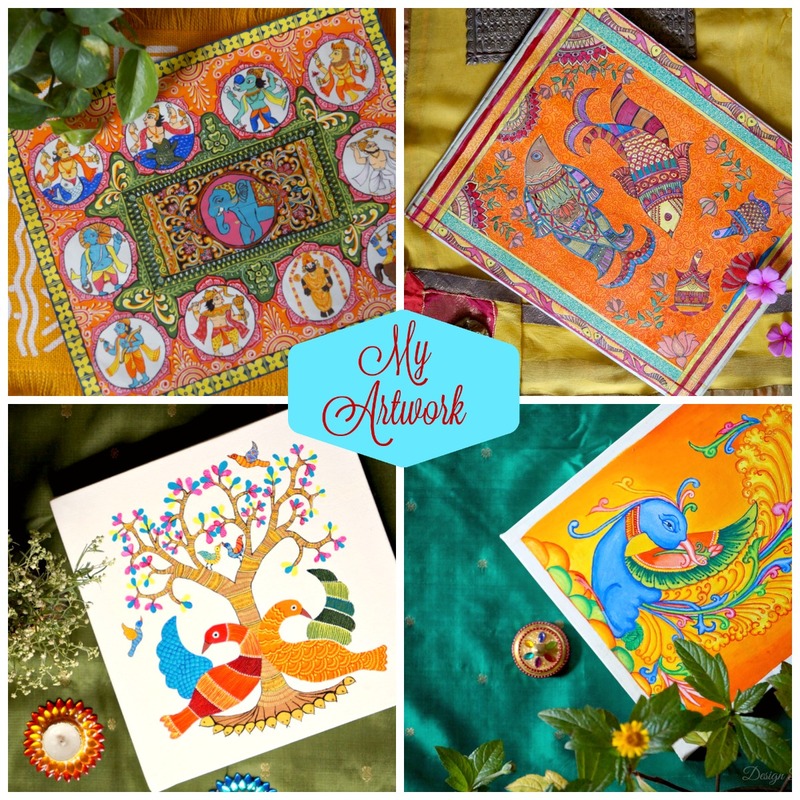 Engrave is now promoting various artists and craftsmen to showcase their talent and make a living out of it. They have some amazing and very skilled artisans. You can read more about them on their website Engrave. Now let's have a look of products I have chosen for my home. 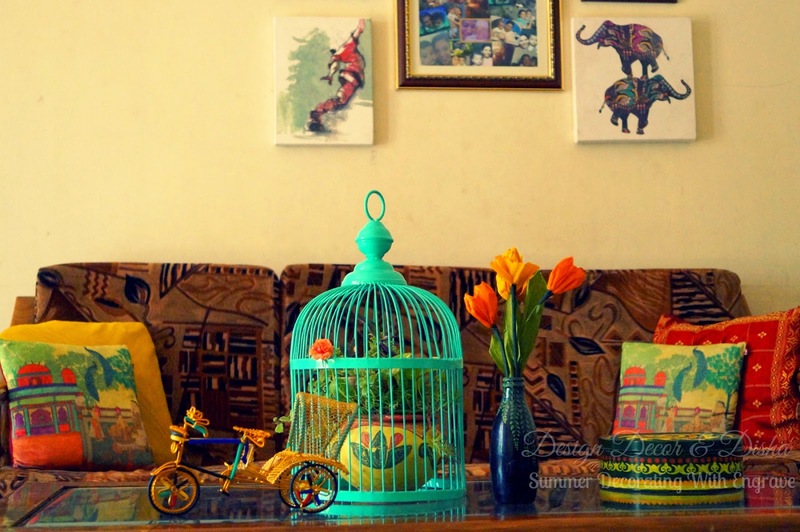 I chose this metal cage dome from elan, the world of metallic home decor products started by a very talented Vidushi Gupta Agrawal. You can read more about her and can see her beautiful products on Engrave. I chose turquoise colour as it looks soothing in summers and accented it with yellow, orange and green. Isn't it making a perfect summer setting. 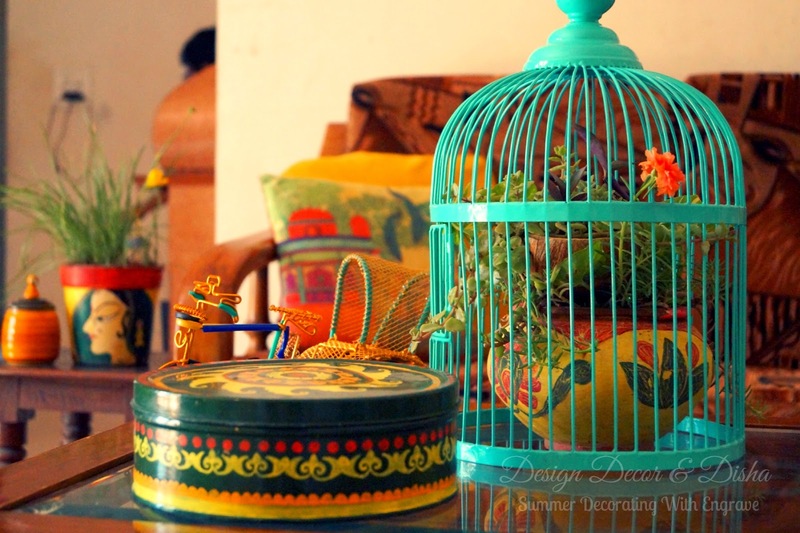 I loved the finish of this cage dome and colour is oh so summery. 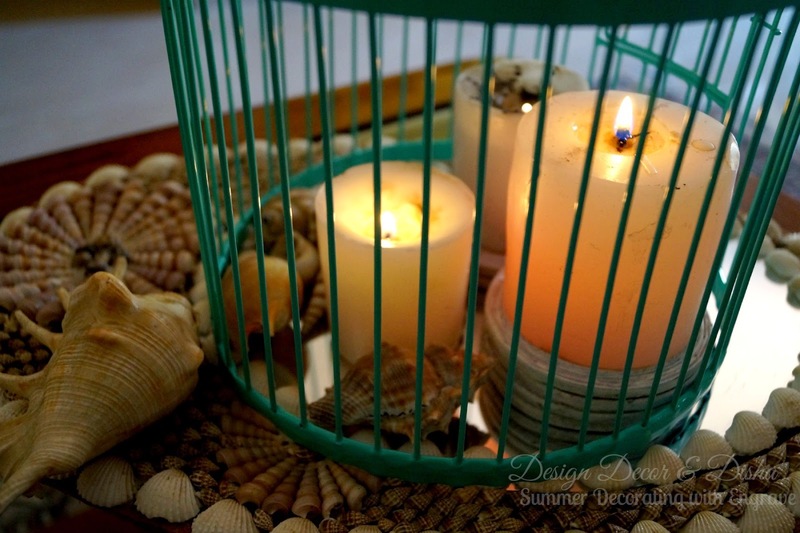 This is the another way I am using this cage dome for summer decorating. Few candles and lot of shells & conch, a perfect vignette for summer evenings. I have few more ideas to try with this cage, will definitely share them later. 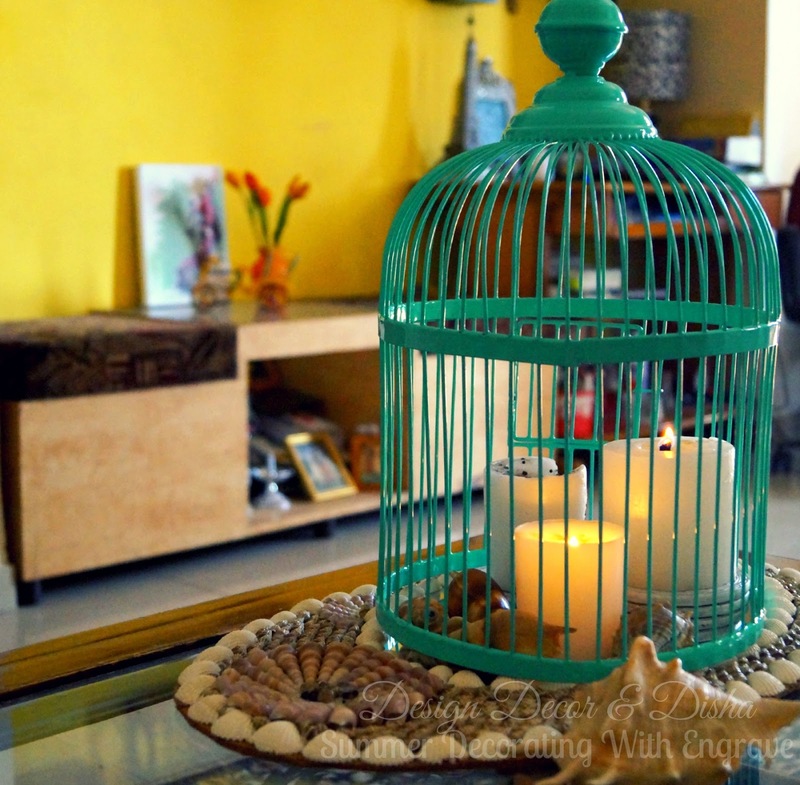 See how the turquoise cage pops against the yellow wall. 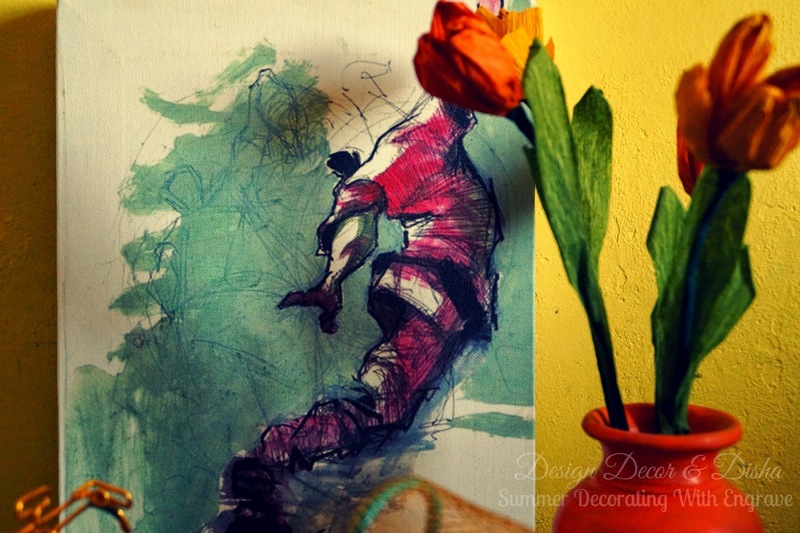 The second product I chose is this beautiful canvas painting done by very talented artist Abhinav Kafare. He has his own unique style. You can read more about him and can have a look of his mesmerizing creation on Engrave. See how the colours are complementing each other. Painting is a lovely addition to my gallery wall. And here is one more unusual piece of art created by a skilled artist Mukesh Jain, who learned this 'Wire Art' from his father and it has become his passion now. 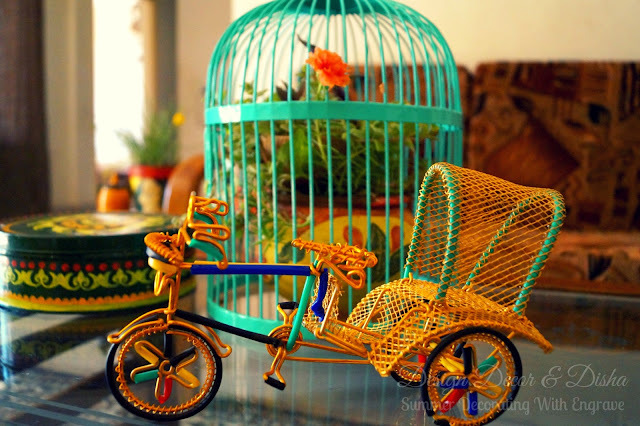 I loved the neat work and this cycle rickshaw some how reminds me the time that spent in Delhi. It has added the charm to my decor. If you are also looking for some unusual home decor products and accessories, browse through the Engrave's 'Makers' section and check out what they are offering. I totally loved whatever I saw there. Click here if you want to shop some amazing Engrave products. 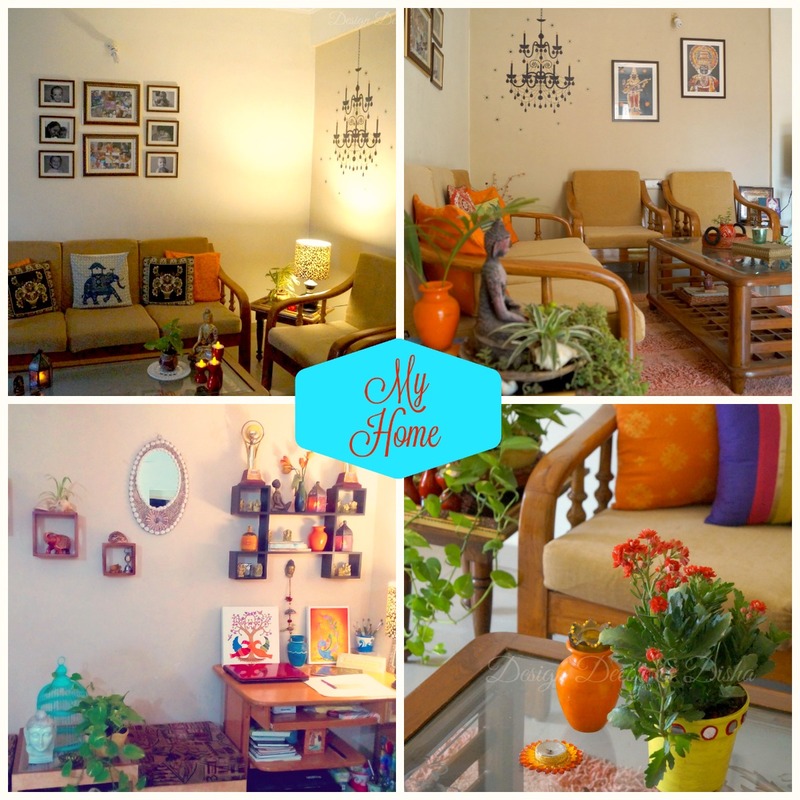 How you have decorated your home for summers, share with me! 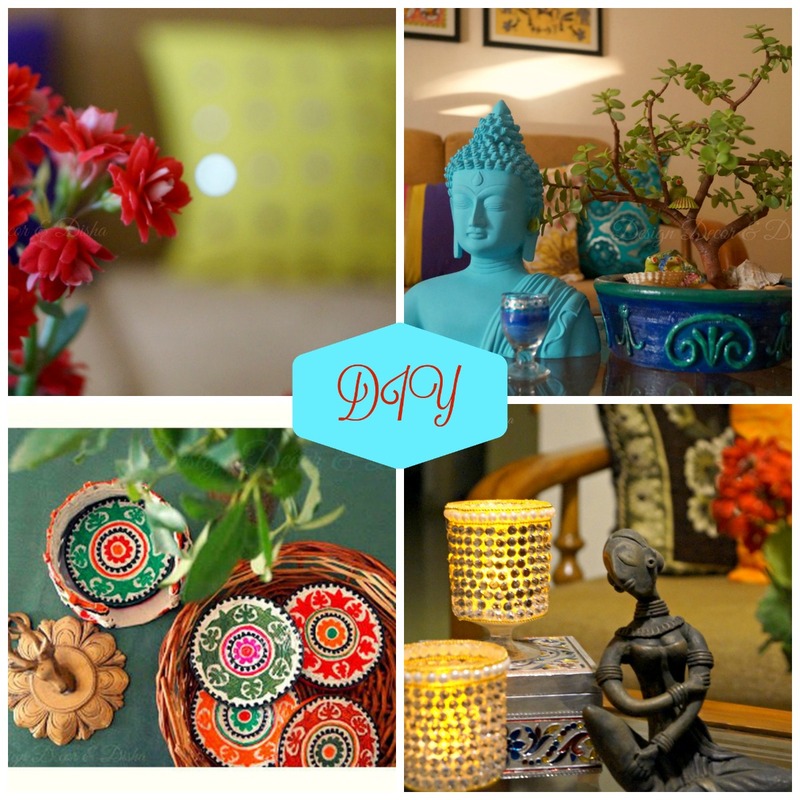 Stay tuned to know about a perfect marketplace for creative people to sell their creations.